DFM and NASDAQ Dubai discusses the role of listings in diversifying investment opportunities and achieving sustainable growth. THE IPO sector in the UAE is on the verge of a new era of thriving activities and rekindled investor interest, finance managers have been told. 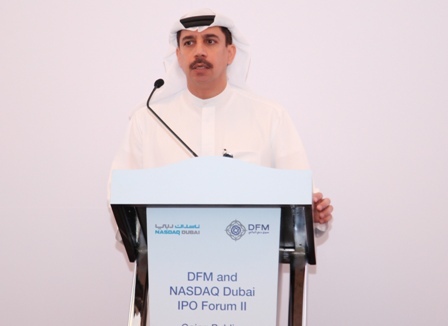 The executives were attending an IPO forum organised recently by the Dubai Financial Market (DFM) and NASDAQ Dubai, dubbed, Going Public: Readiness, Timing and Attractiveness. The event brought together 80 senior officials from 53 companies including chairmen, board members and CEOs of UAE listed companies and private and family businesses as well as numerous experts from IPO advisory companies. In an online survey conducted by DFM through its website in November 2013, 76% of the surveyed investors said they are ready to participate in IPOs within the next 12 months and the majority of them are mainly interested in IPOs of government companies and private and family businesses. The survey sample comprised 1,033 retail and institutional investors. Hotel and Tourism and Retail came at the forefront of sectors investors would like to see represented in the market through IPOs, in addition to the key traditional sectors including Real Estate and Construction and Banking. The IPO Forum provided a unique opportunity to listen to invaluable ideas from speakers and panelists on various IPO-related topics including: market dynamics and the regulatory environment; UAE regulatory changes creating opportunities for companies; investor sentiment; capital market experts’ roadmap to listing successful IPOs; and key learnings shared by listed companies. The DFM IPO investor sentiment survey revealed that the top three factors investors pay attention to when taking the decision to participate in an IPO are: company financials, founders and management, and brand awareness. Retail investors put more emphasis on the media presence of the company while institutional investors ranked expert advice more highly. During the forum some of the listed companies on DFM and NASDAQ Dubai, including Air Arabia and DP World, shed light on their successful experience in going public, in addition to discussing the latest regulatory developments with the participation of experts from the Securities and Commodities Authority (SCA) and Dubai Financial Services Authority (DFSA). 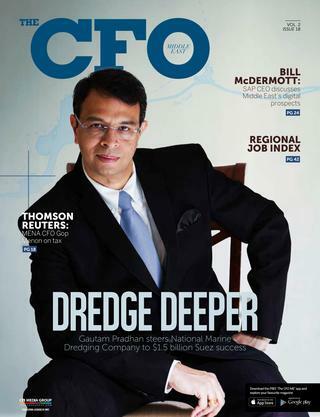 “Our ultimate goal is to help these groups to utilise the capital markets as part of their growth strategy on one hand, and obtain the best representation of the national economy on the market by attracting companies from dynamic sectors including, tourism, retail, health and education on the other hand,” Mr Kazim added.